156 people gave this a perfect score of 10/10? We are lost. Agreed. They would of had tons of book material to use for Season 6 if they didn't add a bunch of made up stuff. Right. If you saw a zombie army marching on your home you'd just take your time, have breakfast, look around, bring it up in casual conversation to your family a week later. Please. That exactly what I expected him to say. When you see the end of the world coming, it's usually the first thing you mention upon seeing someone. But maybe D&D know the end because GRRM told them and in TWOW there is going to be a flash back about how Loras is arrested for being gay and Marg iis jailed for covering it up. The whole adultery thing will be shown to be a ruse and the genius of D&D will be vindicated once again. Wouldn't it be nice if all the characters we like got to stay the best version of themselves? Then nothing would be taken away from any character. So? They knew where the Hounds storyline was going but they had him odd-couple with Arya for an entire season before being killed by Brienne in a WWE matchup. Just because they know the end doesn't mean they can't change (read: screw up) the middle. 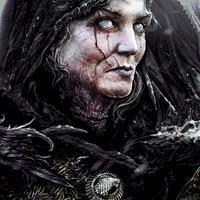 For all we know, GRRM could have Lady Stoneheart kill Cersei in the end. There is zero grounds for simply assuming she has no bearing on the final act of the story. Honestly, it's about the only thing that could come close to a "break the internet" kind of moment. The only things that could remotely qualify would be Naked Cersei and Robert Strong (yawn) and Jon Snow gets stabbed (meh). 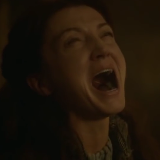 If the Rains of Castamere (Red Wedding) was a 9, this was a 5. What a disaster. GRRM told you this over dinner, did he?